20 ton overhead crane for sale is an important material handling equipment which Ellsen is specialized in. The overhead crane is used for moving loads up to 20 ton. It is more often used in indoor workplaces such as workstation, mechanical processing and assembly lines and storage yards. 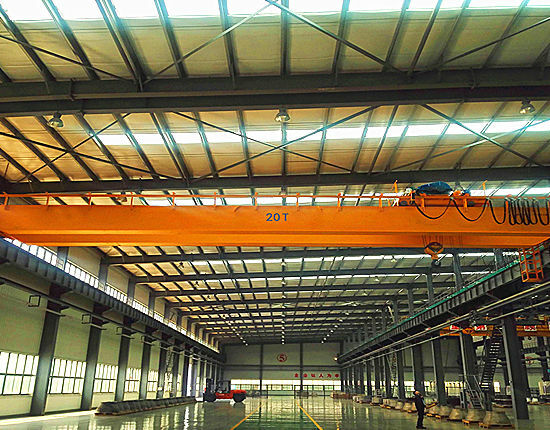 There are various types of overhead cranes, but a standard 20 ton overhead crane is usually designed in four main types including single and double girder, top running and under running. 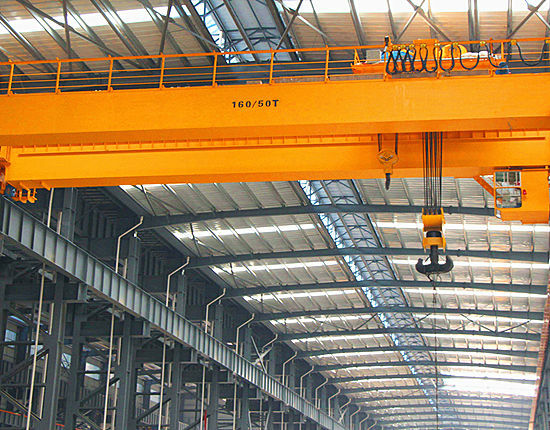 The different types of overhead cranes are highly dependent on the requirements of customers and their applications. We have a large production line of 20 ton bridge crane and other tonnages, and we are also capable of providing custom design of cranes. Which Type of Overhead Crane Should You Choose? The 20 ton overhead crane for sale can be designed in both single and double girder, but the great majority of 20 ton overhead cranes fall into double girder, because the single beam overhead crane usually has a small capacity, commonly used to handle loads below 20 ton or 15 ton. 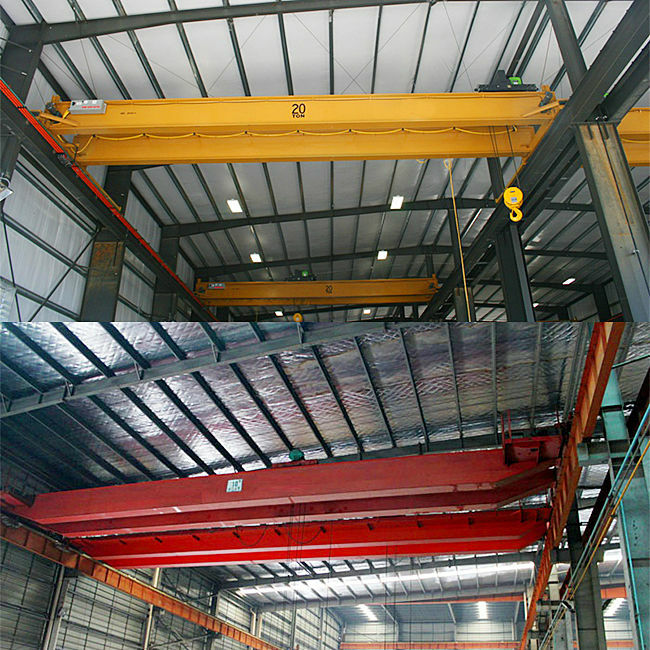 Therefore, double girder overhead crane is more suitable as it can move heavy loads including 20 ton, 50 ton, 100 ton and more. Besides the large capacity, the double girder crane features high working efficiency, high running and lifting speed, a large variety of working levels ranging from infrequent use to a continuous and busy usage. Another configuration includes top running and under running. 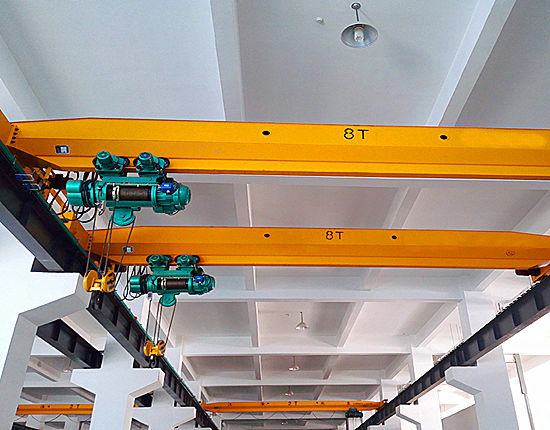 However, a standard underhung crane is typically available in single girder design in that it is supported by the building roof structure and runs at the bottom flange of runway beam instead of being supported on the building columns. Thus this type of crane has a small capacity, usually up to 10 ton, and a special configuration can reach a larger capacity. 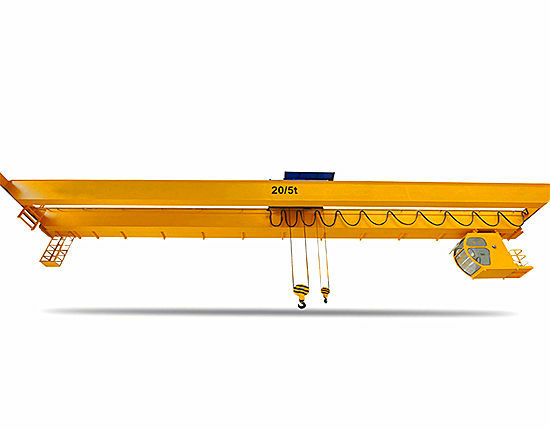 Top running crane is the most common type of overhead lifting equipment, which is mounted on the runway beam and travels on top of it. 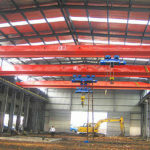 Due to the solid structure, its capacity can reach several tons to hundreds of tons to suit a wide range of requirements. 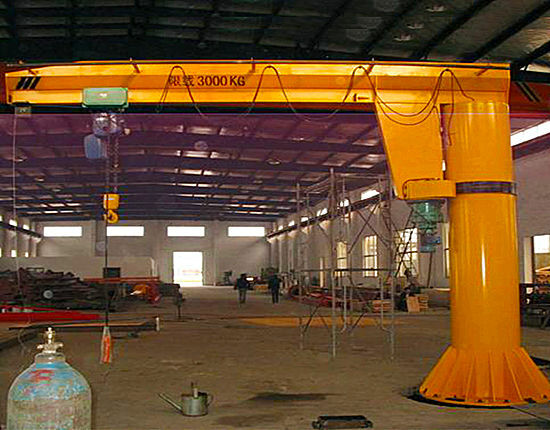 So in a normal circumstance, a double girder top running overhead crane is the best option of 20 ton crane. 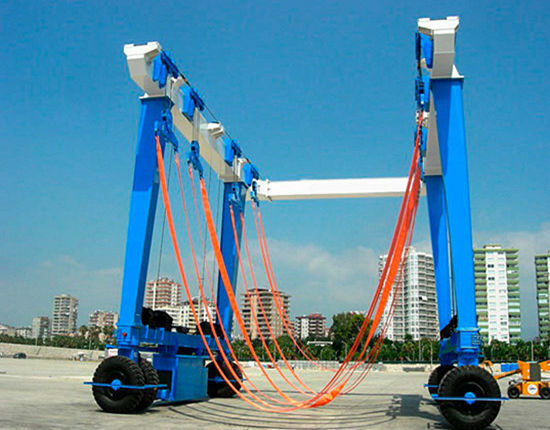 Besides the required crane capacity, when selecting an over head crane, there are several other requirements you should take into account, including but not limited to: the crane specification such as span, lifting speed and lifting height, the type of hoist, the length of runway system, the working environment, the control system, and the safety consideration. 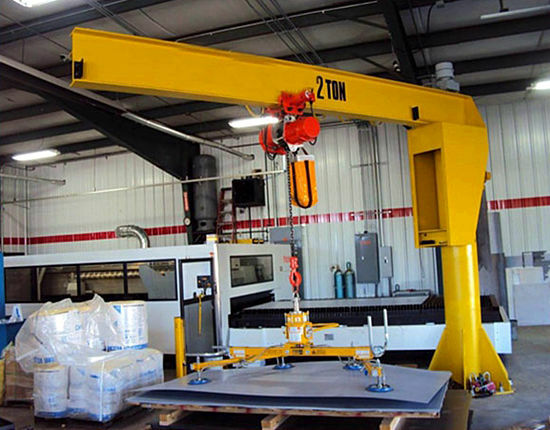 Our 20 ton overhead crane for sale is available in various types and custom designs for your choice. After a thorough consideration of these factors, you will make the best option of your crane without a doubt. Want to know about 20 ton overhead crane price? Contact our sales representative to get the latest quotation. Even if the same capacity is required, the 20 ton crane price varies greatly in different specifications and applications as mentioned above. For instance, the crane used in harsh or hazardous environment costs much more than that used in a normal working environment. If you value much for an advanced overhead crane, then the European type crane is a preferred choice. 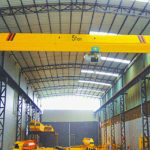 It is certainly much more expensive than other overhead cranes for the same use. Other factors such as runway height, runway length, building height, electrical requirement, and control requirement should also be taken into consideration to decide how much does your overhead crane cost. Contact us now to get an overhead crane price, and you will be given a preferential treatment. The overhead bridge crane has a simple structure, which makes it easy to install, maintain and repair. 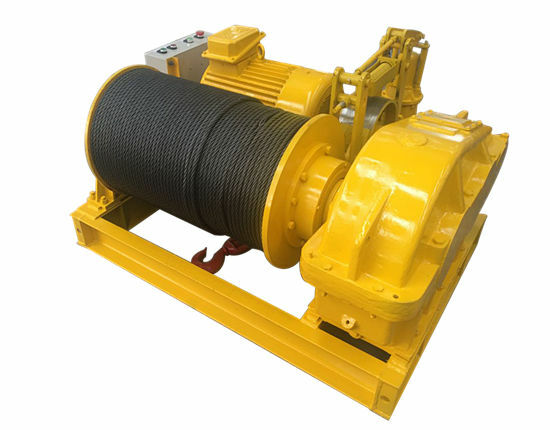 It mainly consists of bridge, hoist trolley, crane running mechanism and electric control system. The bridge is the main travelling part, mainly composed of two end trucks and one or two main beams according to the equipment configuration. The bridge girder spans the end beams and is supported by the end trucks. It travels forward and backward along the runway beam so as to achieve the entire crane running. The hoisting mechanism is mounted on the trolley to lift loads up and down. The trolley is supported on the bridge girder and runs along the bridge rail. The electric control system consists of electrical circuits and electrical equipment. 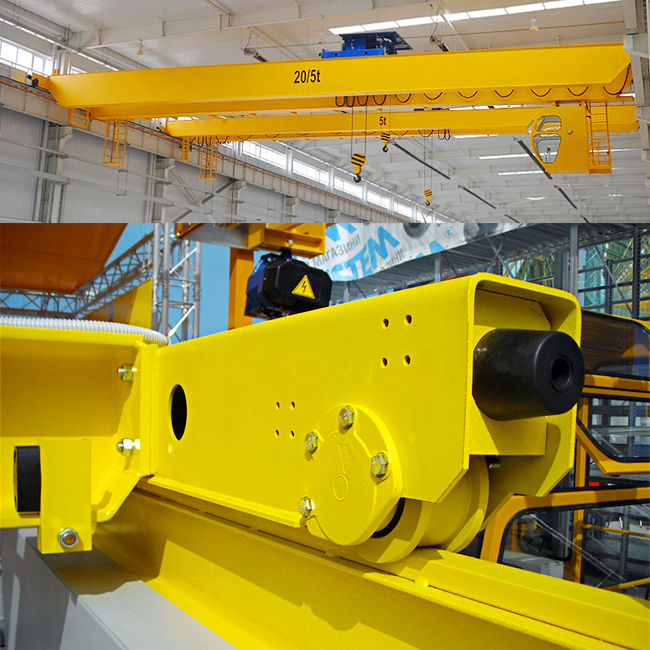 The overhead crane equipment completes the lifting and transporting tasks in the workshop by these three types of movements. The control options of the crane operation mainly include pendant control, wireless remote control and cab operation. Users can choose one of them or two combinations to better suit their needs. 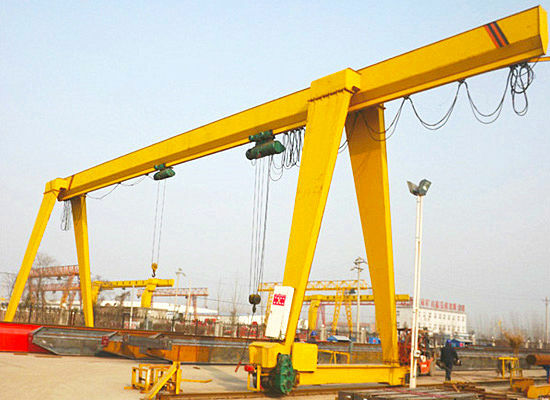 Are you looking for 20 ton bridge crane suppliers? 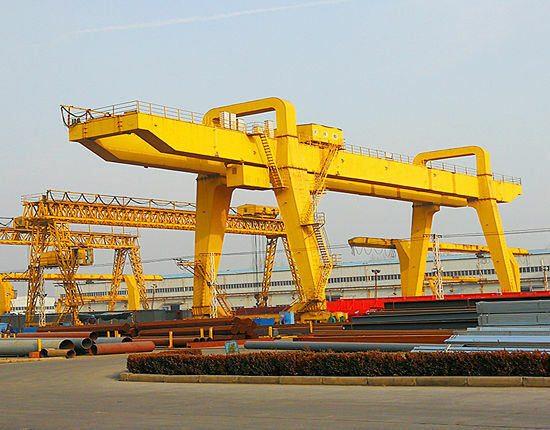 Please come to Ellsen, China leading overhead crane manufacturer and supplier. We have been engaged in this industry for over 10 years with rich experience. We are also a qualified overhead crane service company in that we can provide crane installation, inspection, maintenance, repair and other services. We have an experienced technical team to offer the full services so as to make sure your installation is a simple process and your crane operation is free from troubles. 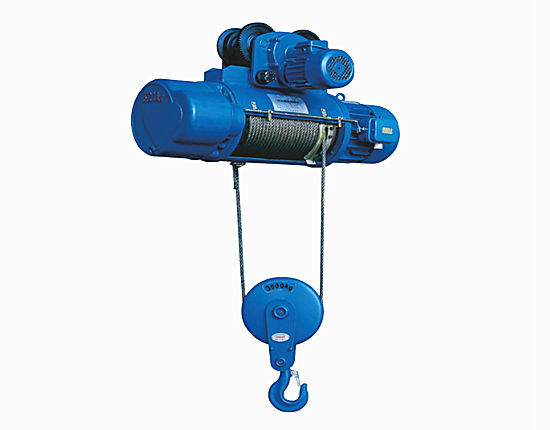 We also manufacture other types of lifting equipment, including gantry crane, jib crane, electric hoist and winch to suit the lifting requirements of the most customers. If you are interested in our 20 ton overhead crane or other capacities, please email or call us today. We look forward to providing you material handling solutions and helping you achieve your business goals.